We are thrilled to announce that Oakdene Vineyards Restaurant has been selected for the 2016 Certificate of Excellence - Superior Service, reflecting the consistently great reviews we earn on TripAdvisor. We are pleased to announce that once again we are a finalist in the 'Restaurant in a Winery' category of the 2016 Savour Australia Restaurant & Catering Hostplus Awards for Excellence - Victoria & Tasmania. The Savour Australia Hostplus Awards for Excellence is a nationally recognised, independently judged awards program that recognises exceptional service and culinary talent across Australia. The Awards have been designed to recognise and promote industry best practice. It provides publicity for hospitality businesses, a chance to network with key suppliers, and acknowledges the achievements of hospitality staff. The winners will be announced at a state wide dinner in August, and then go on to compete on a National level. Oakdene Vineyards Restaurant has been inducted into the Entertainment Hall of Fame for Fine Dining. Hall of Fame inductees are recognised for winning at least three Entertainment Awards in their respective categories. Oakdene is proud to be a valued participant in both the Geelong and Ballarat, and Melbourne Entertainment Card Books since the Geelong book launched several years ago. By purchasing the Entertainment Card Book, members can enjoy a 25% discount off the total bill at the restaurant up to $40 value. 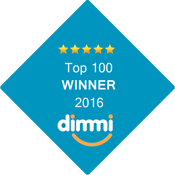 What makes these awards special is that it’s not just the opinion of a single critic or even a handful of people; this is the collective opinion of over 1 million diners as part of the Dimmi Score Program. 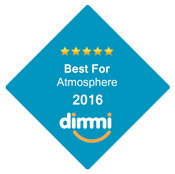 These awards are received by being consistently highly rated by real diners. 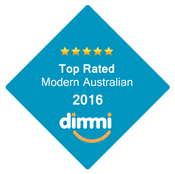 We are pleased to announce that once again, we achieved a 14.5/20 rating in the The Age Good Food Guide 2016. Thankyou to all our hardworking staff who consistently deliver fantastic food and service in the Oakdene Vineyards Restaurant. According to Oakdene's switched-on waitstaff, one of the owners believes she has the worst taste in the world, 'but when you put it all together, it works'. It's true: the place is a joy to behold. Leggy lampshades, a boxy blue dog, terracotta walls and exposed rafters help create Oakdene's quirky look. The food is similarly joyous. A ribbon of lustrous cured pork jowl connects a liberal quenelle of gorgonzola cream and local Curlewis figs, while a black matte plate is a blank canvas for vivid orange chipotle-roasted swordfish loin with tequila nad lime snow. Mains are sizable and might include barramundi with local pipis in an enticing ginger and wakame emulsion, or fatty lamb brisket with pickled cauliflower for balance. From the assortment of soils, sorbets and jellies in the artistic desserts to the table settings of plaid napkins and vases filled with wooden spoons and paintbrushes, the pleasure of Oakdene is to digest the details. Oakdene Vineyards Restaurant is thrilled to announce it has received a TripAdvisor® Certificate of Excellence award for the second year in a row. 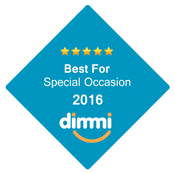 The award celebrates excellence in hospitality and is given only to establishments that consistently achieve great reviews on TripAdvisor. Certificate of Excellence winners include accommodations, eateries and attractions located all over the world that have continually delivered a superior customer experience. 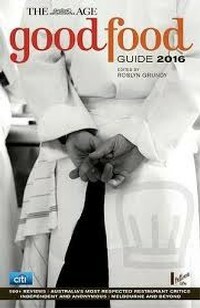 Oakdene Vineyards Restaurant is proud to be a 2015 Chef Hat winner in the Australian Good Food & Travel Guide. Thanks to the restaurant team who all work extremely hard to maintain a high quality of food and service. The Age Good Food Guide 2015 was released last night, & we are pretty happy with our result - 14.5/20. See below for what the esteemed judges had to say about the Oakdene Vineyards Restaurant. The Oakdene estate includes many attractions. There's the cellar door building (made to look like it's tipped on its side; tipsy? ), strollable grounds dotted with sculptures (like the wheelbarrow tree), a decommissioned train and a fine-dining restaurant. Housed in the original gable-ceilinged 1920s house, the main dining room is loudly coloured with collections of art glass and paintings. The food, too, is energetic: many dishes are made up of multiple elements, and the menu changes almost weekly using what's in season. It's also elegant and refined, as in entrees like tender octopus pieces arranged on charry potato discs. Mains might include a crisp-skinned barramundi fillet topped with floured-and-fried calamari served with a scoop each of Oakdene olive tapenade and cauliflower puree; or some prime beef from the grill. A chocolate sorbet and mousse dessert has tiny marshmallows here, 'soil' scattered there, a leaf placed just so. It's a delightful dinner, lunch or day out.